Check out now the official poster for Paul W.S. Anderson's epic film Pompeii. In the movie, a love story between a gladiator and a noblewoman takes place on the eve of the volcanic eruption that destroyed the city of Pompeii. 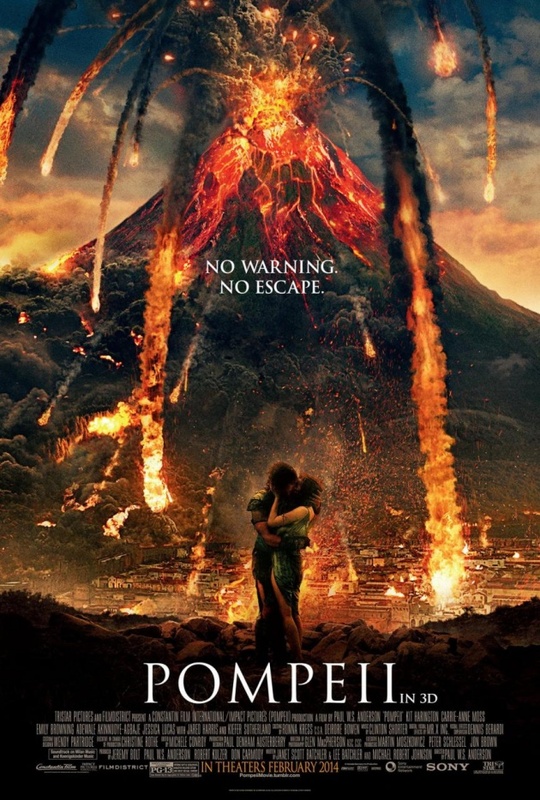 Starring Emily Browning, Kit Harington, Jared Harris, Kiefer Sutherland, Carrie-Anne Moss, Adewale Akinnuoye-Agbaje and Jessica Lucas, Pompeii opens in U.S. cinemas on February the 28th, 2014.